Internally, Dell has been calling its new Latitude 2100 "Welch's"--you know, as in the juice kids like to drink. 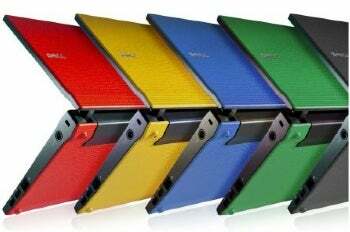 One possible reason for the nickname: The company is planning to court the education market aggressively with this new take on netbooks. According to spokespeople, they see Latitudes as the Swiss army knife of laptops. But the market is evolving, and the multihued, kid-friendly 2100 models are the latest attempt to appeal to a younger crowd. Dell folks drilled into me during a meeting that they see these systems as perfectly suited for children in kindergarten through eighth grade. And the 2100 certainly looks like it's built for that group. The spine of the netbook (the outside back of the battery) has a little plastic strip for personalizing the machine. It comes in a number of candy colors. And it's rubberized. Being purpose-built for education, these portables need to be relatively kid-proof, if not bulletproof (hey, children do have a habit of breaking things). So how does Dell intend to target the education market? Start with the textured, rubberized casing. However, while the coating does resemble that of a playground ball, you shouldn't go kicking this thing around. "Ruggedized" doesn't exactly mean rugged. Another trick to targeting the market is making sure that the kids are paying attention in class, and having a fully functional netbook in front of them is only asking for trouble. At the top center of the lid is a strip light. It's an indicator for network activity--supposedly ideal for when a student starts drifting off in class and tries going online when he or she shouldn't. But for now, at least, it won't start flashing or anything if the young user tries entering the Internet's "red light" district. Dell is tinkering with the idea of specific colors and flashing patterns to help indicate what the child is doing, but at the moment it's just a basic light. A simple resistor, one-point touchscreen (with a 1024 by 576 native resolution) is meant to cater to easy browsing, but a plain old screen is also available. Kids also have a habit of making a mess. You can clean the screen, according to Dell, by regular means (don't grab a sponge or dunk it in a bucket, though), and an antimicrobial keyboard option helps prevent the spread of germs. The netbook weighs approximately 2.9 pounds and measures 10.4 by 7.3 by 5.7 inches. And if you don't want your kids lugging that around, Dell proposes a solution for your school: a custom-designed computer carrying cart to slot-load and store 24 netbooks. It automatically plugs into charging and networking slots. In one nice touch, Dell builds a wireless router and switch right into the cart. The starting price for the cart is a "mere" $3900. You probably don't have to manage a school, of course--just one or a few kids. Dell is selling the new Latitudes individually starting at $369 with Ubuntu Linux, a 16GB solid-state drive, and a three-cell battery. My two cents on this: The child-oriented netbook is certainly a neat idea and looks decently executed on paper, but is it rugged enough to rise to the occasion? I know that if my parents had given this to me when I was growing up, I'd have tried to break it--or, more likely, just lose it--within the first day. Will it outlast your child? Wait until we get one in house, and we'll tell you what to expect. The company also seems to think that businesses might want to try these kid-proof boxes at their offices, as well. 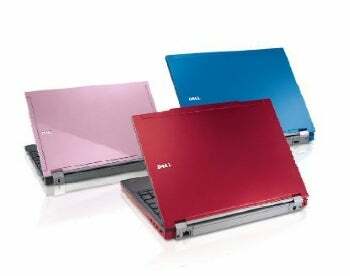 To Dell, I have to say: That may be, but don't expect high-volume sales of the lime-green version.